Many business owners reach a point in time where decisions have to be made about how much time to spend on bookkeeping and how much to spend on primary business functions. The ES team allows you to outsource your CFO duties to us. The ES team has the experience to handle your bookkeeping needs on a monthly, quarterly, or annual basis, depending on your needs. We work with QuickBooks and various other programs, making it easy for business owners to transition to our services, and allowing for easy access to important information necessary for successful management of a business. We also prepare bank reconciliations, which are necessary to determine the actual bank balance. In several cases, ES bookkeeping services have identified bank errors and potential fraud and we were able to assist the small business owner in recovering their money. 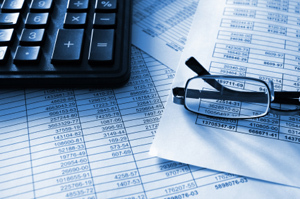 ES also has the unique capability to take bookkeeping further than many competitors. We are able to integrate the bookkeeping for the year and plan for income taxes. Finally, we can determine if it is necessary to revise quarterly estimated income tax payments and/or come up with suggestions to reduce the income taxes due. Businesses are unique and bookkeeping services integrated with tax planning and preparation, allow business owners to keep moving forward and achieving their goals.